Each heavy gauge rigid steel basket is powder coated black. Comes with heavy duty chain hanger and large mouth hook. Liner has built in water retainer. 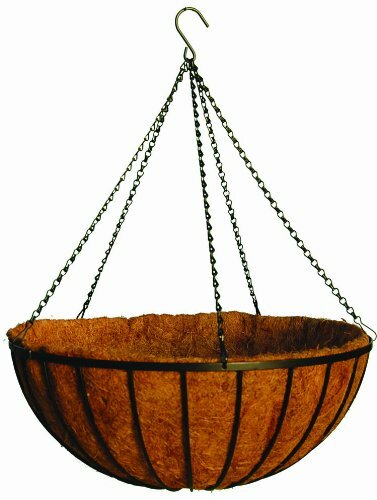 5 complete sets: 5 iron baskets, chain hangers and coco moss liners. Direct from manufacturer!